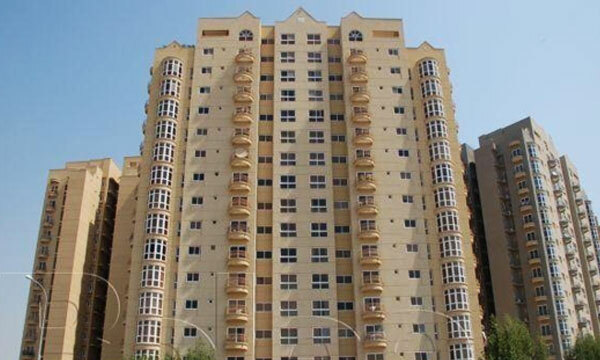 Home Pakistan High Rise Buildings Banned in Karachi! High Rise Buildings Banned in Karachi! 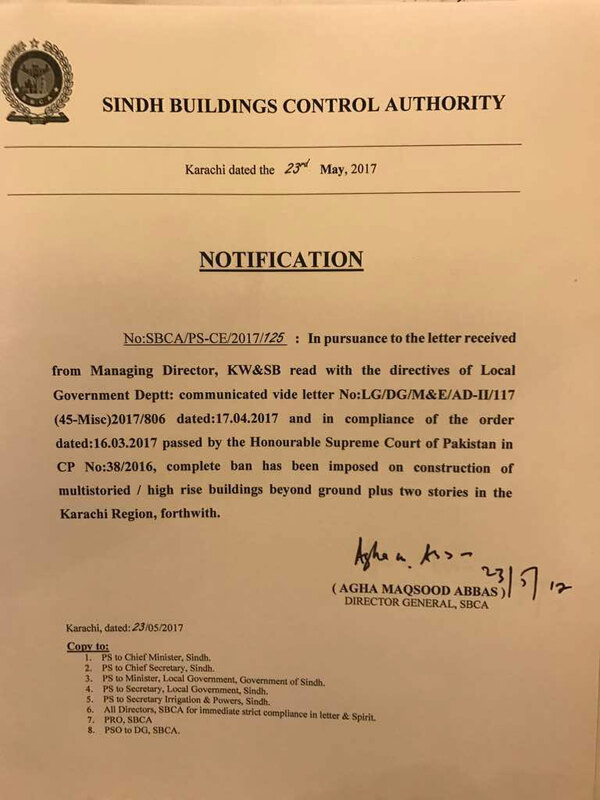 The Sindh Building Control Authority (SBCA) has passed a restriction on the construction of multi-storey and high-rise buildings. A notice was issued on Thursday evening that talks about a complete ban on buildings beyond ground plus two stories in the City of Lights with immediate effect. According to SBCA’s statement dated the 23rd of May, 2017 states the complete ban was taken due to the letter received from the Local Government Department in compliance with the Supreme Court orders. 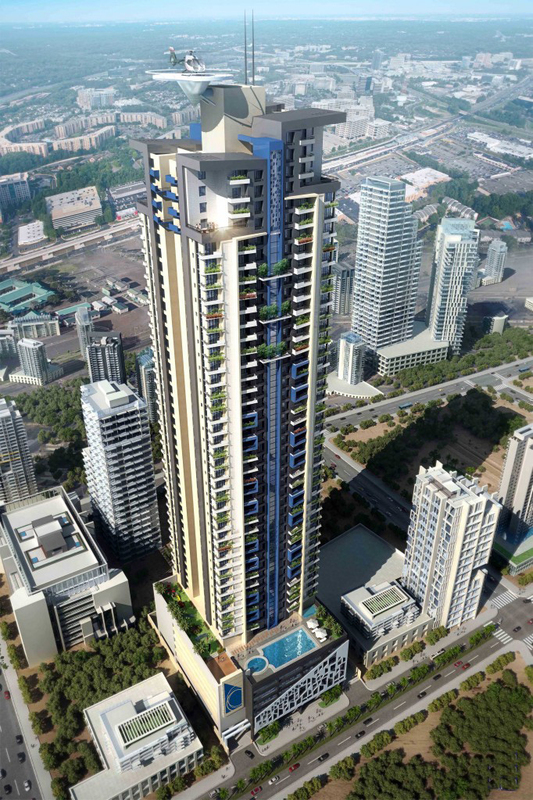 According to various media reports, it has been suggested that at least 80 high-rise residential projects are announced every year in Karachi and Hyderabad. Although Karachi has the greater share of 85% of these projects. Last month, the Mayor of Karachi Wasim Akhtar had demanded that the provincial authorities stop the construction of more than 100 skyscrapers in the city as it would harm Karachi’s fragile infrastructure. Akhtar had also requested the Sindh Chief Minister Murad Ali Shah to stop builders from constructing tall skyscrapers in Karachi. He had also added that the sewerage and water mains were not in a good condition. And demanded that the Chief Minister stop the Sind Building Control Authority in Karachi from issuing NOCs and the certificate’s already issued should be canceled. Previous articleMomina Mustehsan Slams Patari for Shocking Reason! Next articleToyota Camry 2018’s First Look will Blow you Away!